Higher National qualifications provide practical skills and theoretical knowledge that meet the needs of employers. The HNC Cyber Security (SCQF level 7) develops knowledge and skills in areas such as Data Security and Ethical Hacking. The HND Cyber Security (SCQF level 8) will be available from August 2019 and will build on the knowledge and skills of the HNC. In addition to the above, this qualification covers areas such as Computer Architecture, Computer Programming, Computer Networking, and Professionalism and Ethics in Cyber Security. This qualification is available through colleges and training providers. Typically, an HNC takes one year to complete and an HND takes two years to complete. Higher National qualifications have been developed by SQA in partnership with colleges, universities and industry — so employers recognise that they provide sound evidence of ability. The Qualification Development Team (QDT) included representatives from the University of Dundee, the University of Glasgow, Forth Valley College, and Police Scotland, among others. There is a wide choice of optional units, such as Penetration Testing, Digital Forensics Case Studies, Internet of Things or Big Data, which will enable centres to offer courses tailored to meet local needs. Different combinations of relevant National Qualifications, vocational qualifications, and equivalent qualifications from other awarding bodies may also be acceptable. 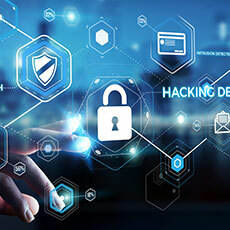 Learners who achieve an HNC Cyber Security can progress to the HND Cyber Security (available from August 2019). HNCs and HNDs can provide progression to degree-level study. For example, the HNC Cyber Security should allow direct entry into the second year of most degree programmes, and the HND in Cyber Security should allow direct entry to most third year programmes. An alternative approach to unit-by-unit assessment is to assess two or more units holistically. Integrated assessments combine the assessment of up to three units (24 SCQF credit points) in either an examination or project (these are known as ‘alternative assessments’). There will be ASPs available for all mandatory units of the HNC in Cyber Security and some optional units. These will be available on the SQA secure site. The HNC Cyber Security at SCQF level 7 consists of eight mandatory units (64 SCQF credit points), including the Graded Unit 1 examination, and at least four credits from the list of optional units (32 SCQF credit points).